Package too big? You can remove some components from the SDK and reduce the size of the software. Here is what you can delete without hampering the outcome of the software. The following components could be safely removed to reduce the delivery size. 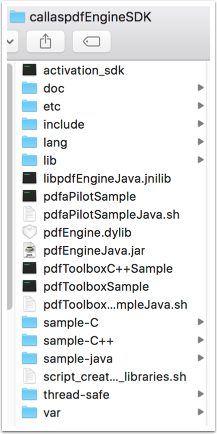 To further reduce the package size, the following subfolders can be removed from the 'etc' folder- depending on your requirements.